Ruby is a frequently used glue language for DevOps. Both Chef and Puppet are implemented by Ruby. For ruby code check, I use Rubocop and Foodcritic frequently. For Python code, I use pylint. For Shell code, I highly recommend shellcheck. Tips: Create Jenkins jobs to run periodical check for all your scripts. I also maintain a free and available demo Jenkins here. Latest version has a lot of new checks enforced. Make sure your ruby is no older than 2.2.5. 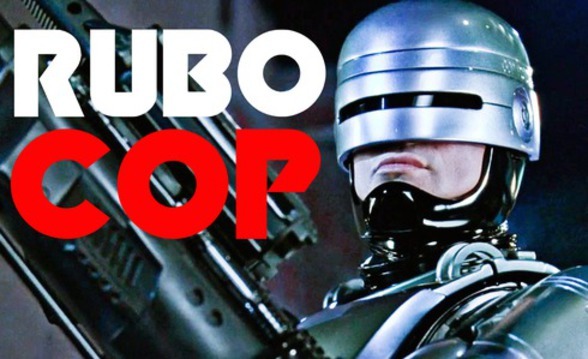 Upgrade your Rubocop to the latest version you can get. Then stick to that version. Tips For Package Installation: Always install latest versions could be troublesome. Below is a list of Rubocop Common Error Messages and Corrections. Okay, you can stop reading and now. Press Ctrl + F, then search by error messages. recipes/basic.rb:24:8: C: Use 0o for octal literals. You can also ignore the rule, by changing .rubocop.yml. (Thanks to Jack Lee). recipes/precheck.rb:28:23: C: Prefer single-quoted strings when you don't need string interpolation or special symbols. 1.5 Rubocop Error: C: Use \ instead of + or << to concatenate those strings. recipes/basic.rb:36:67: C: Use \ instead of + or << to concatenate those strings. recipes/basic.rb:37:47: C: Use \ instead of + or << to concatenate those strings. 1.6 Rubocop Error: C: Redundant return detected. serverspec/server_spec.rb:21:3: C: Redundant return detected. 1.7 Rubocop Error: C: Hash#haskey? is deprecated in favor of Hash#key?. recipes/precheck.rb:28:35: C: Hash#has_key? is deprecated in favor of Hash#key?. only_if "grep 'sleep 1' /etc/init.d/mysql"
1.9 Rubocop Error: C: Use snakecase for source file names. recipes/github-key.rb:1:1: C: Use snake_case for source file names. Fix: Update .rubocop.yml with workaround. Or cut your code into small chunks. files.rb:1:1: C: Use the return of the conditional for variable assignment and comparison. serverspec/general_helper.rb:67:7: C: Use a guard clause instead of wrapping the code inside a conditional expression. files.rb:2:8: C: Separate every 3 digits in the integer portion of a number with underscores(_). 1.14 Rubocop Error: C: Freeze mutable objects assigned to constants. vagrant/Vagrantfile:7:16: C: Freeze mutable objects assigned to constants. files.rb:3:39: C: Closing array brace must be on the line after the last array element when opening brace is on a separate line from the first array element. test/shared/common_spec_helper.rb:32:5: C: Use Kernel#loop for infinite loops. test/shared/common_spec_helper.rb:32:11: W: Literal true appeared in a condition. Add ignore rule to .rubocop.yml would be better because these numbers are not octal literals. Jack, thanks for your input. Yes, skipping the rule is also one feasible way. I’ve updated the post according to your feedback, Jack. For the example of file mode in this post, I think it’s octal literals. Right? And enabling this rule will give us extra benefits. Do you agree, Jack?